Another partial solution is to make improvements to the observatories themselves. More ventilation traps can be added along the observatory walls so the air around the telescope is the same temperature as the outside air. Laminar air currents can also be blown across the surface of the mirror to minimize turbulence. The Earth’s atmosphere consists of layers of air at different temperatures that interact and cause large-scale movements of air masses (referred to as turbulence by scientists). For astronomers, turbulence is detrimental to their work as it disrupts the trajectory of light rays. This causes stars in the sky to twinkle and telescope images to be distorted. A simple means to minimize the effects of this inconvenient phenomenon is to build astronomical observatories at high elevations so that the telescopes only peer through the upper levels of the terrestrial atmosphere. The images obtained in this manner will be up to ten times better than those obtained at sea level. Another method, albeit much more radical, is to install telescopes in space where the atmosphere no longer has any effect on astronomical observations. It is for this reason that today’s astronomers are launching space telescopes – like Hubble, FUSE and MOST – into orbit. The first research into resolving the problem of image distortion related to atmospheric turbulence was conducted in 1902 by the German physician Karl Strehl, who proposed a method of evaluating the image quality produced by optical systems. In 1941, the Soviet mathematician Andrei Nikolaevich Kolmogorov made several breakthroughs into the study of turbulence. His work would later be integrated into atmospheric models used to correct distortions affecting astronomical images. 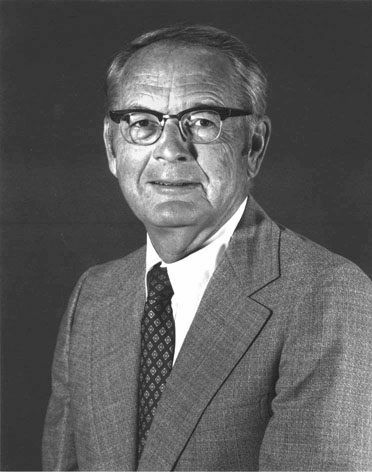 In 1953, the American astronomer Horace Welcome Babcock invented adaptive optics, a process that corrects image distortions caused by the terrestrial atmosphere. The technique consists of taking a sample of the light received by the telescope and calculating its degree of distortion. Deformable mirrors are then used to redirect the light rays and produce a corrected image. The proposal was promising, but Babcock was not able to construct his system for technical reasons. In 1957, the American physician Robert B. Leighton of the California Institute of Technology succeeded in reducing atmosphere-induced image distortions using the 1.5-metre telescope at the Mount Wilson Observatory in California. His technique consisted of inclining the telescope’s secondary mirror several times per second. In so doing, he managed to obtain the best images ever recorded of Jupiter and Saturn. In that same year, the Soviet physicist Vladimir Pavlovich Linnik published an article in which he proposed that an artificial “guide star” could be created by pointing a laser at the sky and targeting its focal point in the upper atmosphere to agitate gas molecules. If an adaptive optics system uses a natural “guide star”, it must be bright enough compared to the celestial object of interest to provide adequate light for the telescope’s detector. The guide star and the study object must also appear sufficiently close in the sky. It is not always easy to find a star that fulfills these criteria, hence the idea of creating an artificial guide star. Linnik’s proposal was revolutionary, but unfortunately remained unknown to the international scientific community until 1992 when his article was finally translated into English. 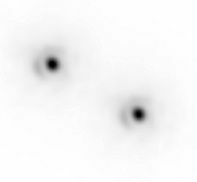 In 1970, the American engineer W. Thomas Cathey and his collaborators were the first to experimentally demonstrate an adaptive optics system that operated in real time. Three years later, in 1973, another American engineer, John W. Hardy, built the first adaptive optics system intended for astronomy. Originally designed to detect Soviet military satellites, the system used a deformable mirror. 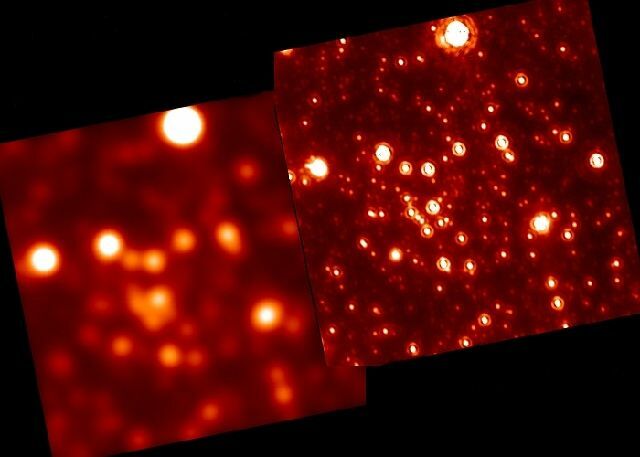 Astronomers took advantage of the technique and new adaptive optics systems began to appear. In 1977, the American physicist Andrew Buffington developed the first system to use a segmented mirror. Each of the six segments is controlled by a piston that could adjust the inclination. 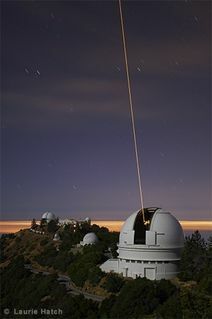 In 1981, the American physicist Robert Q. Fugate and his team began to work on a system that would use a laser to generate a guide star – the idea originally proposed by Linnik in 1957. The first tests were performed in 1983 and 1984. Since then, several adaptive optics systems have been equipped with a laser that operates on this principle. 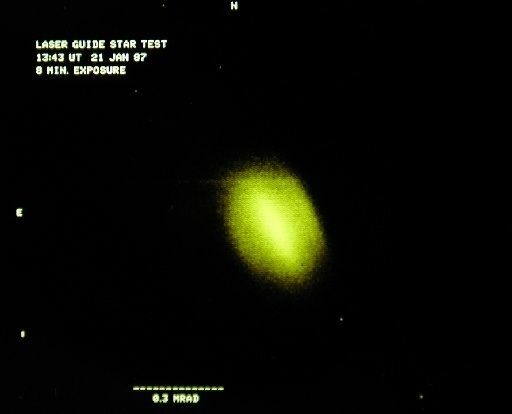 In 1991, the American army been declassifying their confidential work on adaptive optics. Upon accessing the documents, the astronomy community realized that they had already designed and constructed more powerful and less costly systems than those of the military. As of 2005, 18 observatories and 26 large telescopes are equipped with image correction systems. These systems are now considered as standard equipment for big observatories. René Racine talks about adaptive optics. Adaptive optics is now beginning to have an impact in ophthalmology. If you want to study the retina, the image obtained is generally cloudy because there is an aqueous humour [secretion] that messes things up. 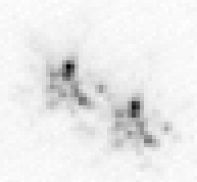 Adaptive optics systems now exist that allow much more accurate diagnoses of retinas than was possible only a few years ago. In the relatively near future, we may have corrective glasses that are not like the regular plastic ones, but can instead deform to correct for turbulence (in the eye and in the atmosphere). There is no reason that we will not be able to read a newspaper about 50 metres away with such devices. So your eyes will have a much sharper resolution than what you have now because your eye is not perfect and the atmosphere distorts images. It represents an application - a practical use - for space-related technology, but one that comes from astronomy.